"The Only Thing Needed for Evil to Triumph is for Good Men to Do Nothing." 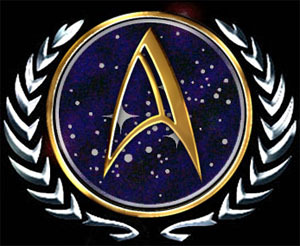 This webpage's purpose is to provide general information about the Federation starship USS Serapis. 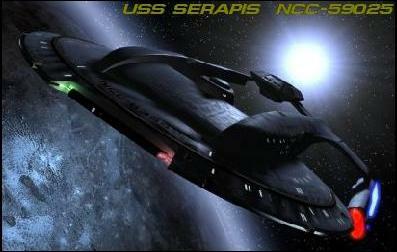 The Serapis was commissioned on Stardate 120618 (18 June 2000/2412) as a Montu-class Light Cruiser in Gold Fleet under the command of Captain William Hunter. If you are interested in more information about the Serapis, please contact Marc Johnson, who plays Captain William Hunter. Inquiries regarding role playing opportunities in Gold may be directed to him, or to D'Maris Coffman, who plays CINCGOLD.